DEAD IN TOMBSTONE - New Poster! Jonathan Banks, star of Breaking Bad and Better Call Saul, has joined the cast of Dutch historical epic 754 A.D. Redbad. The project is directed by Roel Reiné and started shooting on 12 September 2017. Banks will play Pepin Herstal, Lord of the Franks, and joins Dutch actor Gijs Naber, who plays the Frisian king Redbad, and Danish actor Søren Malling, star of The Killingand Borgen, who plays Danish king Wiglek. The film shoots in Denmark, Germany, Belgium and The Netherlands and is produced by Klaas de Jong of Dutch production outfit Farmhouse TV & Film Productions (Admiral, Tuscan Wedding, Loving Ibiza, Storm Bound). It’s described as a historic, action-packed epic about the rise of Christianity and the sagas and ancient legends surrounding King Redbad. Sales are handled by Danielle Raaphorst of Incredible Film. Roel Reiné’s previous film Admiral topped the Netherlands’ box office when it was released in January 2015. He has also directed episodes of Black Sails and Inhumans. Marvel is rolling out the red carpet for Black Bolt and the royal family with a new Inhumans series coming later this year. With such a big event, including a two-part premiere episode to screen in IMAX theaters across the country, who might be at the helm? Turns out, it’s Dutch filmmaker Roel Reiné. It’s definitely an unexpected choice. Reiné isn’t really known by mainstream audiences, but he does have an expansive action-movie resumé with straight-to-video releases, like The Man with the Iron Fists 2, Death Race 2, and The Scorpion King 3. In the past, Marvel has taken chances on filmmakers — James Gunn proved himself in the indie space before they gave him Guardians of the Galaxy, and the same goes for Taika Waititi with Thor: Ragnarok, Jon Watts with Spider-Man: Homecoming, The Russo Brothers with Captain America: The Winter Soldier, and Ryan Coogler with Black Panther. (Now, if we could get a woman to diversify this sausage fest, that would be awesome.) So, Reiné’s appointment could be a great sign, since Marvel tends to go for quality of work, potential, vision for the property, and willingness to collaborate as opposed to overall blockbuster experience. Showrunner Scott Buck (Netflix’s Iron Fist) is the only other person officially announced on The Inhumans, which will first hit IMAX theaters in September of this year before revealing the rest of the episodes on ABC in the fall. The full extent of how this story may or may not affect Agents of S.H.I.E.L.D., which has featured Inhuman characters for some time now, is unclear. It’s no secret that Marvel’s original ABC series always get the short end of the stick when it comes to this shared cinematic universe experience. One would assume The Inhumans also a bigger budget for better special effects, given the cross-platform premiere. We’ll have to see how this all shakes out. Marvel Studios is, at the time of writing, spinning an awful lot of plates, what with the likes of Spider-Man: Homecoming, Guardians of the Galaxy Vol. 2, Black Panther and Avengers: Infinity War all incubating in various stages of development. 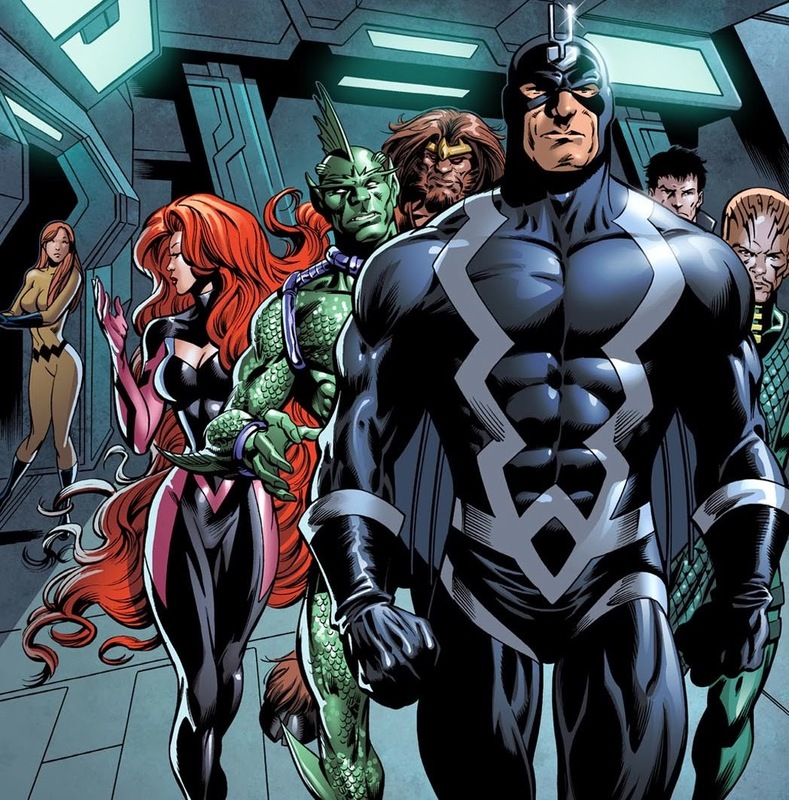 The Inhumans will be the latest superhero-themed project to join the fold, and we now have confirmation that Marvel and ABC’s spinoff series is expected to lens in Hawaii through spring. First reported by Reel News Hawaii (via CBM), the outlet claims Marvel’s overhauled project – one that was originally pitched as a full-blown feature film under the MCU – will shoot “several episodes” from March until June. No further details were disclosed, but is it possible that those episodes will go on to become the IMAX installments of The Inhumans? Time will tell. That’s a lot sooner than expected, but following the appointment of Black Sailsdirector Roel Reine – he’ll helm the opening two episodes of The Inhumans – Marvel’s project is fast beginning to take shape. Boasting cinema standard visuals, the live-action superhero series is on course to light up IMAX theaters across the U.S. over Labor Day Weekend – i.e. early September. From that point on, a further six episodes of The Inhumans will begin rolling out via ABC, when Iron Fist‘s Scott Buck will take point as series showrunner. It may be a fairly huge departure from the original plan, but Vin Diesel is still holding out hope for an eventual feature film. We’ll be keeping a close eye on The Inhumans as Marvel’s spinoff series inches closer to release. Much like Agents of S.H.I.E.L.D. before it, ABC will house Black Bolt and Co. this fall, and you can share your early hopes for the new show down below. The director to helm the first 2 episodes of the highly-anticipated series! Director Roel Reine (“Admiral,” “The Delivery”) will help bring “Marvel’s The Inhumans” to life, helming the first two episodes of the upcoming series! Roel Reine was born in the Netherlands, and with his first theatrical feature “The Delivery” he won the Golden Calf (the Dutch equivalent to an Academy Award) for Best Director. His 2015 movie “Admiral,” an epic historical Dutch language movie, had a very successful theatrical release worldwide. In 2015 it was the only Dutch movie in the Netherlands’ top ten box office, right in between “Jurassic World” and “Furious 7.” The movie tells the story of a 17th Century Admiral, Michiel de Ruyter, who protects the Dutch population from a civil war between two political factions while defeating English armadas in massive sea-battles. In 2016 Roel directed his first American television series “Black Sails” for Michael Bay and STARZ. “Marvel’s The Inhumans” will premiere a version of the first two episodes first in IMAX commercial theatres, marking the first time a live-action television series has debuted in this manner. The series, produced in conjunction with ABC Studios and filmed entirely with IMAX digital cameras, will run worldwide exclusively in IMAX for two weeks at the beginning of September 2017. ABC plans to then premiere the weekly series in fall, with additional exclusive content that can only be seen on the network. Stay tuned to Marvel.com for the latest on “Marvel’s The Inhumans” and Marvel Television! Roel Reine will helm the first two episodes of the ABC/Imax series. Marvel, ABC and Imax are going big with The Inhumans. The companies have tapped feature director Roel Reine to helm the first two episodes of its forthcoming collaboration — both of which will air in Imax theaters, The Hollywood Reporter has learned. Why ABC's Deal to Bring Marvel's 'The Inhumans' to Imax Is a "Quadruple Win"
Picked up with an eight-episode straight-to-series order, The Inhumans is ABC's latest Marvel collaboration. The live-action TV series is not taking the place of the planned feature film and is not a spinoff of ABC's Marvel drama Agents of SHIELD. The first two episodes will bow in more than 1,000 Imax theaters over Labor Day weekend before heading to ABC in September as part of the network's fall season in a groundbreaking, first-of-its-kind collaboration that helps cut through the crowded fall landscape. Netherlands native Reine won the Dutch equivalent to an Oscar for best director for his first theatrical feature The Delivery. His 2015 feature Admiral was the only Dutch movie to land in the top 10 in the Netherlands. Stateside, Reine directed his first U.S. TV series with Starz's pirate drama Black Sails. He's repped by APA, Circle of Confusion and Morris Yorn. 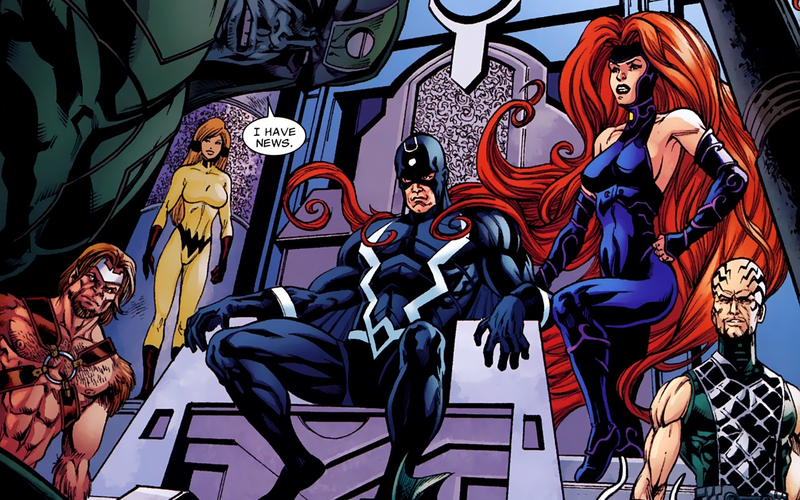 The Inhumans, a race of superhumans with diverse and unique powers, were first introduced in Marvel Comics by Stan Lee and Jack Kirby in 1965. Since then, they have become among the most popular characters in the Marvel Universe. ABC's The Inhumans will explore the never-before-told epic adventure of Black Bolt and the royal family. Dexter grad Scott Buck will serve as showrunner, marking his second Marvel collaboration after serving in the same capacity on the comic book giant's forthcoming Netflix drama Iron Fist. The Inhumans becomes ABC's third Marvel series, following SHIELD and the late and great Agent Carter. Inhumans is produced by Marvel, ABC Studios and Imax, with all episodes set to be filmed with Imax cameras. There was really nothing about this film I wasn’t looking forward to. Scott Adkins taking the star slot in yet another revitalized action franchise which features none of the same crew or cast as the original was really all I needed. But Hard Target 2 also continues a favorite action movie trope: The hunters becoming the hunted. As long as Hard Target 2 had a fun tone and some killer action set pieces, I was going to be a pretty happy camper. And as it turns out, director Roel Reine (Death Race 2, 12 Rounds 2, The Condemned 2, you get the idea…) was able to deliver not just the bare minimum to get a pass, but he was even able to surprise a little! For whatever reason, in my anticipation of this film, I never quite dreamed that this continuation would pay homage to original director John Woo. These disconnected, straight to video kinds of sequels rarely have anything to do with the original films. And the same is true here, except for the style. The movie opens on a shot of a dove, and continues to shower love on Woo’s most signature styles throughout. And since Woo is one of action cinema’s most talented directors, this homage is more than a little welcome. Slow motion fight sequences look great, especially since star Scott Adkins is able to do them himself. Reine is also able to wring a ton of production value out of Hard Target 2 by setting and shooting the film in Thailand and working with the great film crews available to action directors in that country. With a budget of only $4.5 million and a 20 day shooting schedule, this film is able to look leaps and bounds better than your average DTV film. Sweeping aerial shots of jungles and bridges, motorcycle chases and waterfalls, this is truly a film that honors the Cannon films tradition of the late ‘80s and early ‘90s. It isn’t entirely successful. There’s plenty of sloppy writing and convenient plot contrivances. Flat performances abound, and the lengths the film goes to to homage the original can come across as slavish devotion. There’s some sloppy staging and editing as well. It is noticeable, but also par for the course for these kinds of DTV films. The key is the fun the film seems to be having. And frankly, as a viewer, I’m generally having fun whenever a bunch of people with guns and knives are running around in jungles and doing actiony things. Adkins is able to double split kick some dudes off of motorcycles. Rhona Mitra’s huntress is able to coolly fire off a few rounds as an explosion ignites just feet away from her. Adkins is able to leap through the air in slow motion whilst firing a bow and arrow. It’s the kind of stuff Nick Frost’s Hot Fuzz character would freak out over. And also me. There’s not really much here that is better than the original. But what Reine and Adkins were able to cook up on a limited budget, and with the help of the talented Thai crew, is something more polished and thrilling than most DTV action films. The added production value Thailand brings to the table, as well as Scott Adkins’ slavish dedication to bringing everything he’s got to the action sequences in all of his films, create a sequel with a pulse. Scott Adkins fans are already seeing this film. We’re the target audience here, if you will. Ahem. What excites me is that I feel confident in recommending this film to John Woo fans as well. Why not check out what a Woo homage at a quarter of the budget might look like? There’s nothing that’ll change your life, but there’s a simple satisfaction that can’t be denied. Director Roel Reine hosts a Director’s Commentary track in which he calls up a number of the key players in the film, Scott Adkins included. I listened to a good chunk of the commentary and must say I was quite taken by Reine. DTV action film directors are often looked down upon as lesser talents, but this guy really seems to have a lot to bring to the table. He serves as his own DP on all the films he directs, which is not the norm, and has some interesting advantages when shooting a film in just 20 days. He also seems to have an established relationship with crews in Thailand, which allowed for a higher level of killer action and production value as previously mentioned. More importantly than all of that, he comes across as someone who simply loves his job and has zero coyness or pretension about the type of films he’s making. Reine sought this opportunity out as a way to pay homage to John Woo and to work with Scott Adkins. This is exactly the kind of guy you want at the helm of a DTV action film. You don’t want someone who’s embarrassed or going through the motions, you want someone who will take the limitations of the genre and maximize potential within that framework. Reine highlights all the assets at his disposal here and creates a shining example of the casual fun that DTV action can provide. On top of Reine’s charming commentary track, there are a number of other bonus features and the Blu-ray also comes with multiple formats for the film including DVD and a digital copy. As a die hard Scott Adkins fan, I’m used to his movies being relegated to DVD without an HD option. Or at best a bare bones Blu-ray. It’s nice to see Universal sink a couple million into an Adkins vehicle and then follow through with a home video package they really seemed to get behind. While Hard Target 2 isn’t exactly a face-melter along the lines of Ninja II or Undisputed II, it rises to the occasion both as a fun action film and as a decent home video package for fans. XLrator Media has snagged North American distribution rights to Admiral, with plans to release the pic on its Turbo action label in early 2016. Set in the 17th century during the Anglo-Dutch naval war, the film follows the famous heroic figure Admiral Michiel de Ruyter as he leads the Dutch fleet in a battle against England, Germany, and France at a time when the young republic of Netherlands was on the brink of its own civil war. Charles Dance (Game Of Thrones), Rutger Hauer and Frank Lammers (Black Book) star in the pic, which premiered at this year’s Berlin Film Festival. It’s directed by Roel Reiné whose credits include 2010’s The Scorpion King 3: Battle For Redemption and The Man With The Iron Fists 2 due out later this year. Lars Boon and Alex van Galen wrote the script. Reiné also executive produced and Klaas de Jong produced. The deal was negotiated by XLrator Media’s Barry Gordon with Arclight Films’ Clay Epstein. The Dutch action-adventure, Admiral, has been selected for a Gala screening at the 2015 Beijing International Film Festival on Wednesday in the Grand Oriental Theatre at 9:30 pm. Admiral, directed and lensed by Roel Reiné (Death Race 2 & 3), and a good bet for the Dutch foreign-language Oscar entry, is a dazzling epic portraying one of the most important events in Dutch history: the 17th century Anglo Dutch wars. I will be posting my interview with Reiné very soon. The film features a prestigious cast of Dutch and international celebrities, including Frank Lammers, Charles Dance, Rutger Hauer, Aurelie Meriel and Sanne Langelaar. Admiral was filmed on location in The Netherlands for €10M. Since its release in January it remains the top box office draw in Holland. The film has already been awarded Golden Status by the Dutch Filmfund just four days after its theatrical release, with more than 100,000 tickets sold during the opening weekend alone. Reiné, who was awarded the prestigious Golden Calf Award for his very first theatrical release, The Delivery, has built a reputation as a prolific studio-director and action expert in The Netherlands and abroad. He has made more than a dozen highly successful studio films, including The Man with the Iron Fists 2, which was released last week. Admiral tells the story of the famous Dutch Admiral Michiel de Ruyter (Lammers) who was an innovative engineer, naval officer, and battle hero in the 17th Century Anglo Dutch wars. When the young republic of The Netherlands is attacked by England, France and Germany, and the country finds itself on the brink of civil war, de Ruyter takes command of the Dutch fleet. Admiral is produced by Klaas de Jong, famed cultural entrepreneur. Among de Jong’s impressive producing resume are Tuscan Wedding, Loving Ibiza, and Penny’s Shadow. Arclight Films is representing worldwide rights (with the exception of Benelux) on Admiral and will be screening the film for buyers in Berlin at EFM. ADMIRAL (ORIGINAL MOTION PICTURE SOUNDTRACK) BY TREVOR MORRIS - NOW AVAILABLE AT I-TUNES! For director / DoP Roel Reiné there was only one composer qualified to compose the music for Admiral; Trevor Morris. Someone who had earned his spurs with music for TV series as The Borgias and The Tudors. Intense, compelling, exciting and emotional. The hundreds of requests that the producer received in recent weeks about the availability of music attest to the fact that the music is more than successful. Michiel de Ruyter Original Motion Picture Soundtrack by Trevor Morris is now available online via Itunes. WORLD PREMIERE OF ADMIRAL ON HISTORICAL GROUND! Michiel de Ruyter returns on historic ground. 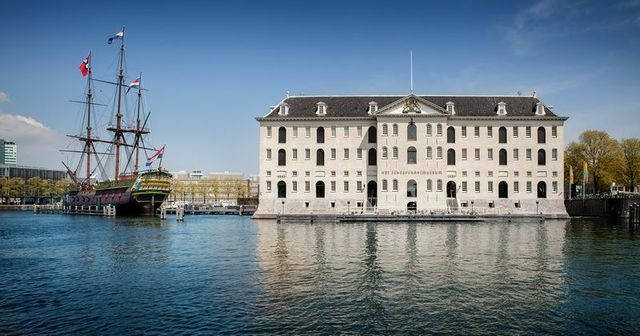 Just across Michiel de Ruyter’s former home on Prins Hendrikkade 131, the world premiere of Admiral will take place on Monday, January 26 2015 in the National Martime Museum in Amsterdam. The epic adventure film about the life of the greatest Dutch admiral and naval hero will be screened in the heart of the museum (‘Open Pleyn’) in a special high tech cinema. In ’s Lands Zeemagazijn, the warehouse of the shipyard of the admiralty and now the Maritime Museum, the arsenal of the Amsterdam Admiralty was located. Cannons, sails, flats and ship equipment were stored for the wars. From the former naval base, next to the museum, the cast, crew and hundreds of special guests will enter the National Maritime Museum. The premiere is supported by the Royal Navy.